Do any owners smell fuel inside the cabin? 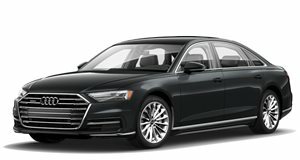 Audi has just issued a recall for approximately 9,000 examples of its 2013-2016 A8 and high-performance S8 sedans because of a fuel line that could become porous over time and lead to a leak. Unfortunately, that leak is near an ignition source, thus creating the risk of a fire. How did this issue come about in the first place? Fortunately, that testing did allow Audi to figure out a fix which can ensure "the durability of the fuel supply line throughout the lifecycle of the vehicle.” A new recall has since been issued and the fix itself is fairly straightforward. Audi dealership technicians will simply add a fuel pressure damper in the low-pressure fuel supply, located in the gas tank. Some A8 and S8 owners may have already paid to have this repair done and will now be reimbursed. A8 and S8s built after 2016 are not affected because this defect was fixed on the assembly line and those vehicles already have the fuel damper installed. But affected A8 and S8 owners still need to take this issue seriously. It’s a fire risk after all. If they suddenly begin to smell fuel inside the cabin, for example, Audi says they need to bring their cars to the nearest dealer "without delay.” Audi has not stated whether or not it’s aware of any previous A8 and/or S8 owner incidents regarding a fire because of this possible fuel leak. As of now, no injuries or fires have been reported. Affected owners, whose vehicles have different build dates, will be notified by first-class mail beginning later this month. It may be due for replacement soon, but the Audi A8’s still accomplished enough to be one of the better luxury sedans on the market. 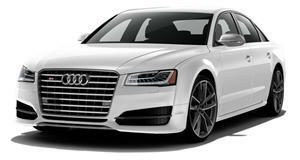 The all-new Audi A8 has become the complete luxury sedan.